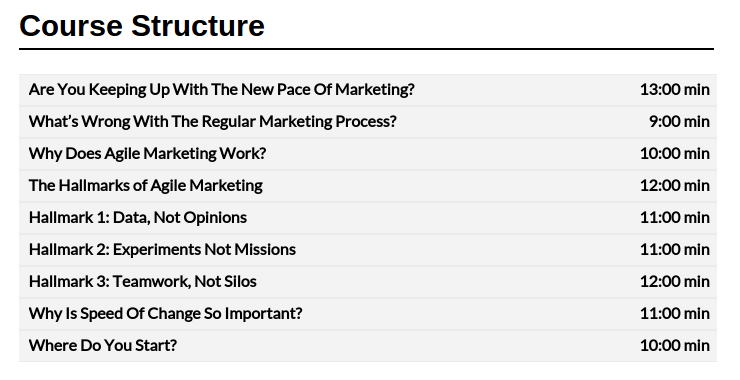 Marketing has traditionally used long-term planned campaigns, often changed just once per year. Today's marketing needs to turn on a dime when customers' needs change–or the competition changes what is available. 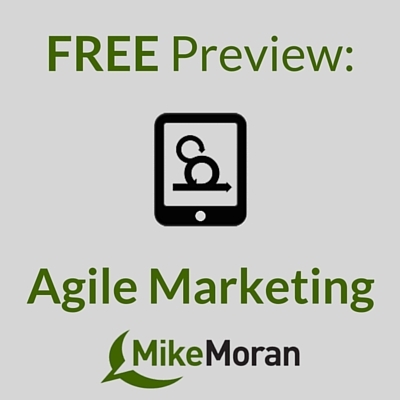 Agile marketing helps you identify what is working and what isn't so you can do more of what is bringing you sales. Click the “Add to Cart” button below to begin the checkout process to enroll in the FREE preview of this course!